My daughter got married recently. I made the cake. Three layer cakes (some of them double recipes), all with different fillings and frostings. One cake was red velvet cake with cheesecake filling and a white chocolate Swiss buttercream frosting–because my grandson likes red velvet cake and the groom likes cheesecake. Another cake was a wedding white cake with a tangy lemon filling and a lemon kissed Italian meringue frosting–because that’s what the bride wanted. The middle layer was a rich chocolate cake, with a mocha filling and a coffee-with-cream frosting–because that’s my favorite and I was making the cake, and I was the M-O-B, so I got to insist upon it! 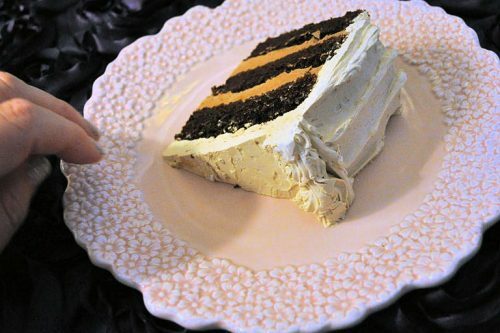 I hope to get all the recipes for all the cakes posted, but let me start with this one, my current favorite special occasion cake: 3 layers of cake, 2 layers of mocha filling, and then all that is en robed in a coffee-with-cream frosting. The recipe for the cake is an Ina Garten recipe from 2007 which was featured in Food and Wine magazine as “Double Chocolate Layer Cake” where I found it. There is a frosting recipe included with Ina’s recipe, but I use a Ruth Cousineau recipe that ran in Gourmet Magazine in December of 2008 for “Coffee and Mocha Buttercreams”, which is a cooked meringue recipe, which is a whole lot of bother but tastes so much better than an American Buttercream, and makes two amazing variations. Using both variations, with this super rich chocolate cake (buttermilk and hot coffee in the batter) makes this cake a standout. The cake is huge. Cut thin slices (which is fine because the slices hold together very well). I had 10 people over for dinner last weekend, everyone had a decent sized piece of cake, and 5 people took a piece home, and I still and one-quarter of the cake leftover! The picture above is from that one-quarter cake, and had been sitting in the refrigerator for three days before I decided to take a picture of it. Please note, my baked goods are better than my pictures! Make the coffee! Bring buttermilk and eggs to room temperature. Prepare 2 or 3 nine inch pans. (NOTE: original recipe called for two pans, I prefer three pans. It’s up to you.) Spray the pans with Pam for Baking, or spread with softened butter, or line with parchment paper. I line with parchment paper and then either lightly spray or lightly butter the parchment paper. Mix the flour, sugar, cocoa powder, baking soda, baking powder, and salt together and set aside. Mix buttermilk, oil, eggs and vanilla in another bowl. With an electric mixer, add the buttermilk mixture into the flour mixture, mixing just until all ingredients are blended. Slowly beat in the hot coffee, beating until all ingredients are fully incorporated. You will have about 6 cups of batter. Pour an equal amount of batter into each of the prepared pans. Bake the cakes at 350° F for 25 minutes for 3 layers (35 minutes for 2 layers), but don’t rely on time alone, check the cakes for before taking them out of the oven. The tops of the cakes should spring back when lightly pressed with a finger and the cake should be slightly pulling away from the sides of the pan. Remove from oven and let cakes cool in pans for about 30 minutes then invert onto cooling racks to cool completely. Bring 1 ¾ cups sugar and water to a boil in a 3-quart heavy saucepan over medium heat, stirring until sugar has dissolved, then wash down any sugar crystals from side of pan with a pastry brush dipped in cold water. Boil, without stirring, until it registers 220° to 225° F, 15 to 20 minutes. At this point, while continuing to boil syrup, beat whites with espresso powder, vanilla, cream of tartar, and salt in mixer at medium speed until they just hold soft peaks. Add remaining ¼ cup sugar, 1 tablespoon at a time, beating, and beat until whites just hold stiff peaks. Transfer 2 cups buttercream to a small bowl and stir in chocolate. If buttercream is too soft to spread, chill, stirring occasionally. Thank you for stopping by my kitchen today. I hope you make this cake and get rave reviews. I know you will. This cake is delicious! It’s been a terrible, horrible, no good, very bad few days around here. We are all fine, but there was a family brouhaha that just didn’t sit right. We were all out of sorts, and, truth be told, a bit afraid of what the future will bring, too. So what to do? 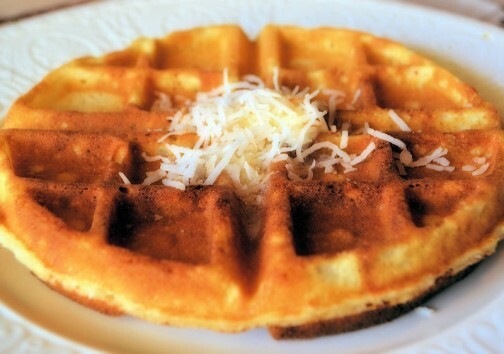 Make the all time favorite family comfort food, of course! This recipe is rustic and quik, and it’s done in 20 minutes. So it’s great just to start on this and put some of that pent up adrenaline to good use. But then there’s the cooling off period. Once made, these bars have to sit in the refrigerator to harden up a bit. Again, another good thing. A cooling off period is needed after a big family brouhaha. Then comes the peace and contentment, sitting down with a good cup of coffee, some rustic chocolate covered graham crackers and reflecting on what went right and what went wrong, and figuring out how to right the wrongs and ultimately, bringing peace back to the family. In August of 2005 my friends Sharon and Margie, from Lake Arrowhead Retreats, gave me a recipe for Saltine Toffee Cookies which they had found on AllRecipes.com. Truth be told, the recipe didn’t sound very good. Saltine crackers, brown sugar, butter, and melted chocolate? Just say no. But they insisted I try it. They insisted the recipe was good. I trusted them, they make some great food, so I tried it. It WAS good. VERY good. Then I came to find out this recipe is sort of an Internet sensation and I might have been the last person on the planet to know about it! Years pass, and one fine weekend, I took a chocolate making class. The instructor of the class talked about how her mother used to make a ganache and pour it over crumbled up graham crackers as a bedtime snack for her and her siblings (I know, I know, what a Mom! I never did that for MY kids…). Then the gears started churning. Chocolate covered graham crackers are one of my favorite things in the whole wide world, but I had never made them. The chocolate covered graham crackers from Starbucks are the best, but they are a bit too rich with a bit too much chocolate. OH! The light bulb popped! 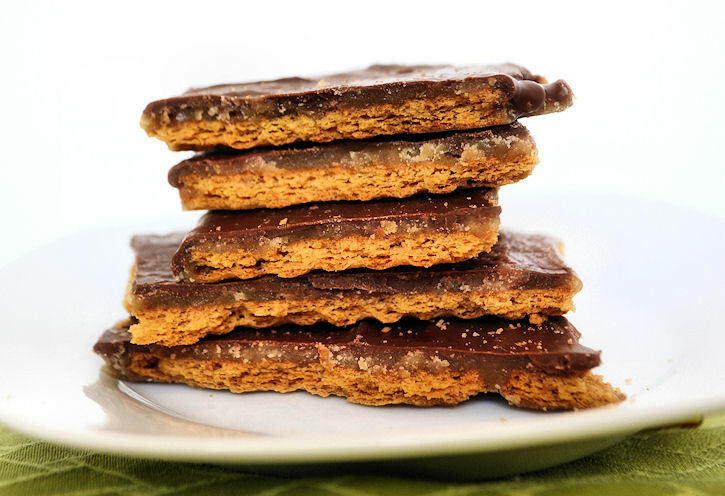 Could I make chocolate covered graham crackers for my kids, too? I could one-up that other Mom, as well! I could make chocolate covered graham crackers and with caramel! Never mind that she was using a fancy ganache and I was just melting giant chocolate bars, LOL! What if I use the Saltine Toffee Cookie recipe but substitute graham crackers for the saltine crackers. What if??? So I did it. Many times. My son says these are the best things I make. The last tin I made, hidden in the refrigerator behind the lettuce, lasted only three days. Line a rimmed cookie sheet with graham crackers. Place the graham crackers as close together as possible. You will need most of 2 waxed covered packages. Set tray aside. In a medium saucepan, combine butter and sugar and stir constantly, over medium heat, until sugar is melted. Raise heat slightly, to bring mixture to a boil. Boil vigorously for 3 minutes, without stirring–shaking the pan occasionally is OK (the original directions said to “stir constantly” but I have found this to make a grainy caramel layer). Immediately pour caramel over graham crackers. Use an offset spatula to quickly spread the caramel evenly over the crackers. Place tray in hot oven and bake for 5 minutes. Remove tray from oven and sprinkled chopped chocolate evenly over top. Let chocolate just sit on top of caramel for 5 minutes. Spread the now melted chocolate evenly over the caramel. Sprinkle with nuts (if using). Let tray sit until chocolate has hardened. This make take a few hours. To speed things up, put the tray in the refrigerator for about 15-20 minutes. When chocolate is set, break bars into uneven pieces. Sneak a piece or two. Serve or cover and hide in refrigerator until needed. Thanks for stopping by my kitchen today! If there is a brouhaha in your family, I hope it’s over quickly and sweetly! If someone is having a hard time, and that sweet “I am going to drop off a casserole” American tradition seems appropriate, THIS is the casserole to take. I took it to my 120-miles away daughter who is bravely attempting a semester long college Physics course in a six-week summer session, working the 4 PM-midnight shift at Target, and sweltering in the hot central valley heat. I am not saying this Macaroni and Cheese is miraculous or anything, but she did score 15 points over the class average on her first mid-term. Not dropping off a casserole to a friend-in-need anytime soon? I’ll bet you’ll be going to a potluck then. Take this! Want to eat it at home, like we did? We had it with mixed roasted veggies, but a leafy green salad would be nice too, and a corn muffin. This casserole is not cheap, but if you shop at Costco for your pound of brie and pound of crab (the only two expensive ingredients), it won’t break the bank and you’ll have made a casserole big enough feed a small army. Truth be told, I was a bit afraid of this recipe at first, wondering if the Brie would be too strong, and wondering if I would be able to taste the crab over the brie. Both worries proved needless. Everything melds together nicely. Comfortingly nice. I’ll say it again, because it’s true, ‘died and gone to heaven’ nice! I changed the recipe just just a bit; one, to conform to the quantities of crab and brie sold at Costco (no leftover bits and no need to buy two big cartons of anything) and two, to make the recipe a bit easier by substituting panko instead of homemade bread crumbs. I also re-wrote the recipe a bit, making roux is not hard, just follow my instructions: brown the flour and butter (and don’t skimp on the butter), remove the pan from the heat, then vigorously stir in hot milk until sauce is smooth. Enjoy your comfort food decadance. Cook macaroni in salted water according to package directions. (Choose the shortest cooking time since pasta will continue to cook when baked.) Drain and set aside. Preheat oven to 350 degrees. Grease a 9-in by 13-in casserole dish. Heat 3 cups of milk in microwave until hot (3-5 minutes). Meanwhile, over medium heat, stir flour into onion and butter mixture. Stir constantly for 3 minutes (to cook flour and to incorporate butter into the flour). If mixture is too lumpy or dry, add an additional tablespoon of butter. Remove hot pan with onion and roux from heat. Pour in 1 cup of hot milk. Stir well, and keep stirring-vigorously if needed-until mixture is smooth and lump free. Add another cup of hot milk, stir and mix again. When mixture is smooth and lump free, repeat with last cup of milk. Return pan to medium heat. Add cubed brie to sauce in pan. Stir constantly until brie is melted and incorporated. Remove pan from heat when brie has melted and the sauce is smooth once again. Fold drained crab into cheese sauce then stir in cooked and well-drained macaroni. 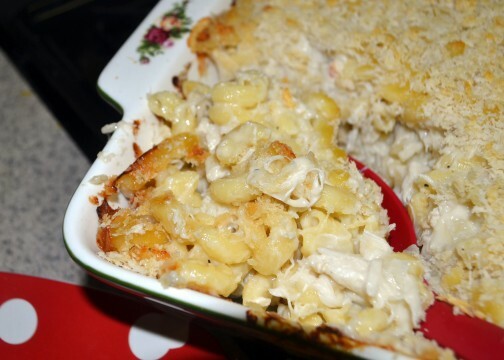 Pour crab-brie-macaroni mixture into a well buttered 9-in x 13-in casserole dish. Sprinkle bread crumbs over top of macaroni and cheese. Bake in preheated 350 degree oven for 30 minutes or until mixture is heated through and bread crumbs have browned. If breadcrumbs don’t brown, turn on the broiler and broil casserole for a few minutes. Remove casserole from oven. Let cool 5 – 10 minutes, then serve. In a bowl, while curled up on the couch with a good book or good movie, or on a plate with roasted veggies or a salad, and maybe a small corn muffin. Enjoy. Feel better. Ace the Physics test! Leftovers can be reheated in microwave or frozen for a future treat. Thank you for stopping by my kitchen again today, I love having you drop by! Let’s see what else I can make from this magazine. It’s supposed to be on the shelves until July 15, 2013, so if you see it, you might want to pick up a copy. Three years ago, maybe four, I made some peanut brittle for some end-of-the-year gifts for my children’s teachers and coaches. No problem. Two months ago I made some peanut brittle as samples for a craft fair. No problem. Two days before the craft fair I made two batches of peanut brittle. LOTS of problems. Both batches were big flops. Crisis! I needed some peanut brittle to sell, I needed it fast, and I needed it to be fabulous. Thank goodness for the Internet! I spent a few hours reading everything I could about making peanut brittle. I took notes. I highlighted. I found sites that swore microwaved peanut brittle was the way to go. I was all for it, but as (my) luck would have it, my microwave died the same day as the peanut brittle flopped. (Where is my guardian angel!?) I abandoned my old recipe, and went with a recipe that seemed to have the best chance of success (and that I could cook the “old fashioned” way, on the top of the stove), a twenty year old recipe from Bon Apetite, found on Epicurious.com. I got out my heaviest pans. I hooked up my candy thermometer. I also hooked up my instant read thermometer. I put on my lucky apron. I banished the grandchildren from the kitchen. I put on Christmas music. I was going to be double extra careful. This was do or die day. I had to get two batches of really good peanut brittle into the cute boxes with the cute bows and the cute tags ASAP. It worked. PHEW. I am glad to share with you the winning recipe, with all the hints and tips. Good Luck! As long as you don’t make this on an especially wet/humid day–and follow these direction and all my hints and tips–you should be OK. But please note, this is important, the times are approximate. I have a very powerful gas range, and I am an aggressive cook, so the times noted are the ones that worked for me. If you have an electric stove and/or are a cautious cook, your times might be twice as long. Trust your candy thermometer (and your back up thermometer) and pay attention to color. One batch of this will make about 3 ½ lbs of peanut brittle. That’s a lot of peanut brittle. I made two batches and was able to put 7 lbs of peanut brittle up for sale, to benefit my favorite organization, Dining For Women, YAY! Preheat your oven to 225 degrees. Put two (or three) large rimmed cookie trays into the oven to warm. Just before your mixture reaches the 295 degree mark (next step) take the pans out of the oven and lightly grease with a bit of butter. Yell for help. A child should not answer this call. Put the pans of peanut brittle in the warm oven for 2-3 minutes. This should help the peanut brittle spread evenly over the bottom of the pans. Remove pans from oven and let sit until cold and hard. Break brittle into pieces and store in airtight containers at room temperature for a month or more. Pat yourself on your back for a job well done. That’s IT! I hope this recipe helps you make the most delicious Peanut Brittle ever! I made a cake last night. No special reason. The stars just aligned. My daughter took my car, so I was stuck at home, alone, all night. There was nothing on TV (is there ever?). There was a “Cook’s” magazine under the TV remote. There was a recipe for a yellow cake with chocolate frosting (one of my favorites), in the “Cook’s” magazine. A little “Signature Cake” practice wouldn’t hurt, and was probably needed. I had just bought fancy-schmancy 9-inch layer cake pans at a hoity-toity gourmet store for 70% off. Time to put them to the test! I had all the ingredients on hand. Who doesn’t like yellow cake with chocolate frosting? It’s a classic! The little editorial near the recipe on page 51 of the Spring 2011 edition of “Cook’s” said everything I want to say about Cake Mixes…chemical emulsifiers and leavening agents…monoglycerides and diglycerides….hydrogenated fats….artificial food coloring. How about a good yellow cake without all that? This recipe delivers, and it’s moist and fluffy, too. The taste? It HAS taste! In my experience, cake mixes turn out cakes high on texture and color with little taste other than that of sweet, overly-sweet. The frosting spreads like a dream, and is rich, smooth, and will knock the socks off anyone who likes chocolate (who doesn’t like chocolate?). The frosting is made with only 1 cup of powdered sugar (as opposed to the usual four cups), and is made with a food processor, not a mixer (a first for me). Just a note though, this recipe results in a soft, creamy frosting (kind of like the canned stuff–but again, with TASTE…and none of that thick oily texture); so, if you are wanting a harder, fudge-type frosting, this is not the right recipe. Prepare 2 9-inch cake pans with 2 inch sides. Spray with Pam for Baking, or butter and flour. Line with parchment paper. In a medium bowl combine flour, baking powder, baking soda, salt, 1 1/2 cups sugar. Set aside. In another bowl combine melted butter, buttermilk, oil, vanilla and egg yolks. Set aside. Place room temperature egg whites in the bowl of an electric mixer fitted with the whisk attachment. Beat eggs until foamy, about 30 seconds. With the mixer running, gradually sprinkle remaining 1/4 cup sugar over over egg whites. 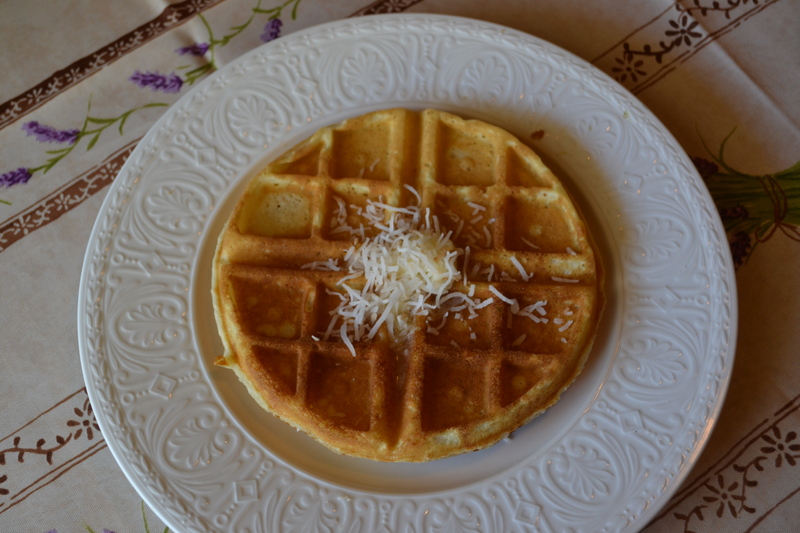 Continue to beat until stiff peaks form but beaten egg whites still look moist, about 60 seconds. Remove the egg whites from the mixer bowl to another bowl and set aside. In the now empty mixer bowl fitted with the whisk attachment pour in the flour mixture. Turn mixer on low. Gradually pour in the liquid ingredients and mix on low for about 15 seconds. Stop and scrape bowl. Mix again for another 15-30 seconds or until cake mixture is smooth and creamy. Remove bowl f rom mixer. With a rubber spatula fold in 1/3 of the egg whites. When those egg whites have been incorporated add remaining egg whites. Gently fold in egg whites until no white streaks remain. Divide batter between the two prepared cake pans. Now , one at a time, life the pan off the counter, and gently let it drop back down–to remove air bubbles from the batter. Five light taps for each pan will do the trick. Bake cakes in preheated 350 degree oven for 22 – 30 minutes or until cake starts to pull away from sides of pan, and a toothpick inserted near the center of the cake comes out clean. Cool cakes in pan on wire rack for 10 minutes. Invert cakes onto wire rack and cool for an additional hour or hour and a half before frosting. Unfrosted cake layers can be wrapped in plastic and stored in refrigerator for two days, or can be frozen for up to one month. Thaw layers completely before frosting. In a food processor, process butter, sugar, cocoa and salt until smooth, about 30 seconds, stopping once or twice to scrape down sides of bowl. Add corn syrup and vanilla to the mixture in the food processor and process until just combined, 5 to 10 seconds. Scrape the sides of the bowl and pulse until smooth and creamy, another 10 – 15 seconds. Frosting can be made up to 3 hours in advance. For longer storage, cover and refrigerate then let sit at room temperature for 1 hour before using. For other cakes, this frosting can be made with dark or semi-sweet or bittersweet chocolate. Thanks for stopping by my kitchen today. I hope you find an reason to make this cake. Once you make it, I think you’ll make it again and again and again. For other recipes, click on the “In The Kitchen With Polly” logo on the top left hand side of this webpage. Let me know what appeals to you and what you make. I love reading your comments.